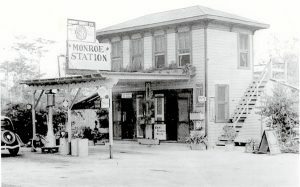 OCHOPEE, Fla. — For many people traveling to Miami or Naples, the route along U.S. 41 through the Big Cypress National Preserve almost always had a stop at their favorite pit stop, Monroe Station. 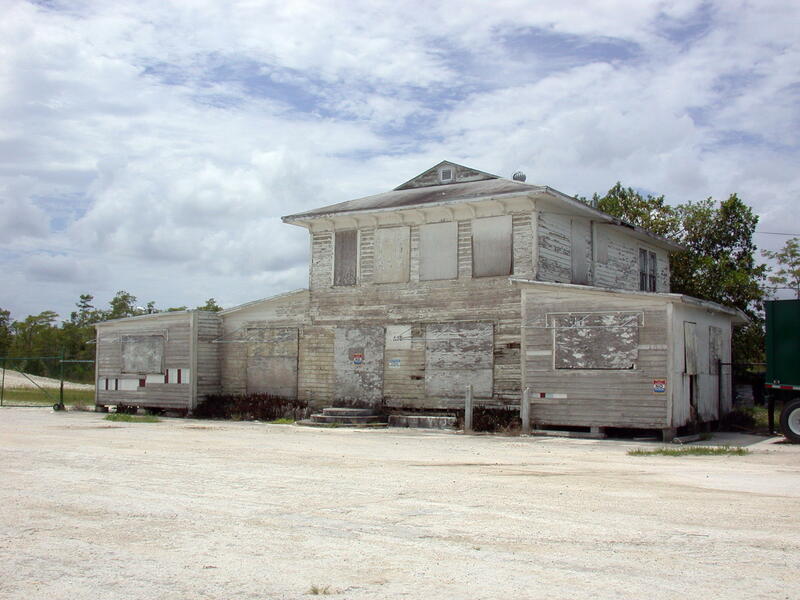 Built in 1928, the station was the only place where residents and travelers along the Tamiami Trail could fuel up on gas, grab a cup of coffee or use a telephone during the early 1970s. For many years, the property was also used to store swamp buggies but, after the government established the Big Cypress National Preserve, Joe Lord, the owner at the time, was forced to remove his gas tanks for ground pollution reasons, which led to a significant decrease in profit for the station. A few years later, the station stopped being a family-owned business. The Big Cypress National Preserve took ownership and stopped doing any maintenance work on the building. In 2000, it was added to the U.S. National Register of Historic Places, which gave residents of the area hope that maybe a restoration project would be in order, but it still remained abandoned. Although the building was deteriorating and in worsening condition, residents of the area still felt a strong connection to the station they spent their childhood visiting. In 2010, a Facebook page with almost 2,000 supporters “Save Monroe Station” was created. With no success, supporters of the group urged the National Park Service to restore the station to its former glory days. On April 9, what was left of the once historic building mysteriously erupted into flames destroying nearly 100 years of history. Although the building had been vacant for more than 28 years, the voices of Collier County residents saddened by the tragic news, were heard by the media. Ochopee resident Wes Simpson told the Naples Daily News that he was shocked to hear that the place where he spent the majority of his youth was burned to the ground. An historic image of Monroe Station in its heyday, serving U.S. 41 motorists and the area that would become Big Cypress National Preserve (Photo courtesy of Big Cypress National Preserve). Everglades City firefighters received a call about the fire about at approximately 11:40 p.m., Saturday evening, but by the time they arrived about 17 minutes later, the building was engulfed and eventually burned to its foundation. Officials are still investigating the cause of the fire but believe the blaze was likely caused by campers or other visitors near the Long Pine Key campground. Bob DeGross, spokesman for the Big Cypress National Preserve, confirmed through a phone interview, that electricity to the building had been cut off for at least a decade, which ruled out the chance of an electrical fire. DeGross also shut down theories being raised on social media about the National Park Service wanting to get rid of the building after so many years of neglect. A joint investigation by the Florida State Bureau of Fire and Arson and the National Park Service’s Investigative Services Branch is still ongoing and anyone who has information about the fire can call the state’s Arson Tip Line at 877-662-7766 . Clyde Butcher, a nationally acclaimed Southwest Florida photographer at the scene of the event, stopped to photograph the last remaining bits of what once was and joined the group of onlookers sharing personal stories and mourning the loss of the building. “I’m really not surprised that even in its destruction, Monroe Station is still bringing people together,” Butcher told the Daily Naples News. Park officials insist that they had hoped to one day restore the building in its entirety and to bring back a piece of it’s colorful past that would delight Monroe Station’s supporters. In 2005, the preserve received a charitable $450,000 from a state grant to come up with plans to stabilize the building in order to “mothball it” until enough could be raised for full restoration. Unfortunately, the $500,000 needed for the work was never secured and nothing was ever actually done to bring it back. Of the six buildings built so long ago, now only one, remains in tact, but resident Susan Carol says that the memories of Monroe Station and the love the people around it had for it, will remain forever. Editor’s Note: After the story was completed, it was determined that “the fire was sparked when a man climbed onto the roof of the structure to pose for photographs while ‘spinning’ a flaming piece of steel wool,” according to the South Florida National Parks Trust.